That’s the most excitement a lot of folks get out of this sleeping pad. As the lightest and most compact pad that meets the (lengthy) checklist requirements for the Elk Mountain Grand Traverse, the Light Mat from CAMP certainly suffices. As a bonus, if you happen to remove it from the bottom of your pack and sleep on it, winter or summer, it’s actually fairly comfortable. But mostly, it’s fast and light. 100% polyamide exterior is reasonably strong and puncture proof. One plastic and one brass valve allow for quick inflation/deflation. Weighs just 315g (11.1oz) and packs down to 2% of its inflated size. Comes with a carrying case to help hold its compact fold. Inflated 180 x 45cm 70.9 x 17.7"
Packed 24 x 6cm 9.4 x 2.4"
Used for the grand traverse as part of a fairly competitive team, and did it’s job to pass the test. Stays inflated for surprisingly long, and if inflated correctly, supports 140 lbs. Is this pad still Grand Traverse compliant (2018)? Hey Tim! As far as I know, yes! Not sure if the needs of the checklist have updated, but as of last year (2017) it was compliant! This little mat is great! I bought it not realising how thin and gossamer it was but have been thoroughly stoked by how well it performs. I am 6'3" and 200lbs, a rather large human. I took this mat on a overnight hike on the north side of Mt. Hood(the greatest one) last fall and found that it offered ample protection from gravel rocks and insulation from the cold. I used a tyvek mat under it but in a pinch I think the material is strong enough to resist most dirt and rocks but obviously not sticks or thorns. 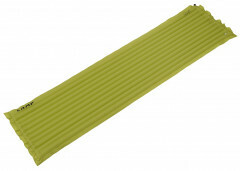 The low volume air rails offered comfort without the tipsy feeling you get from high volume klymit or therma rest pads. It is so small and light, combine this with a ENO hammock(emergency rain tarp) and you can be resting light and easy just about anywhere. 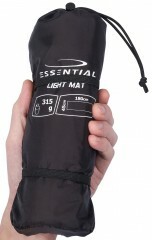 What are the dimensions on the CAMP Essential Light Matt? And what is the R Value. 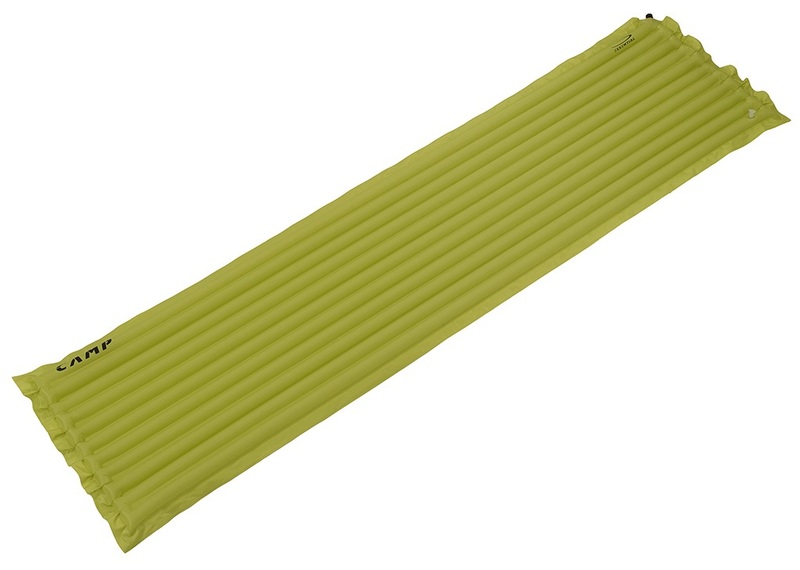 What are the dimensions of this sleeping pad when packed down? Hi Andrea, I checked into this for you. CAMP doesn't publish an official R value, but it passes gear check at the Grand Traverse. Dimensions are 180cm x 45cm inflated or 24cm x 6cm packed.